Online slots are popular because they’re fun, simple, and easy to play. Here, you can find out how to possibly win some [ money by playing slot machines, how to pick the best game for you, as well as handy tips to help you get started. Before long, you’ll know exactly how to enjoy online slots and are sure to feel like you’ve been playing online for years! Online slots are as easy and fun to play as the traditional slot machines at your local bingo club or casino. All you have to do is place your bet, spin the reels, and try to line up the winning symbols. Online slots share many of the same stylings and gameplay as traditional slots, but many also have some of their own unique features – plus you can enjoy them from the comfort of your own home. There are endless varieties to choose from, with bets ranging from as little as 5p upwards to much higher amounts. Before you get started, lean about the elements you’ll need to be familiar with, some of the terms you need to know, and an overview of the types of online slot games you can play. Balance: Check how much money you have in your account, so you know what you can bet on your next game. Paytable: Shows you what combinations to look out for and how much you can get for each winning combination. Reels: Spin the reels to get the right combination of symbols to win money. Traditionally, slot machines had 3 reels, although 5-reels are becoming more popular and some games have many more. Bet per line: Set how much money you want to bet for each line on your next spin. Number of lines: Choose which lines you want to bet on and how much you want to stake. Total bet: How much your next game will cost, with the bet for each line and the number of lines you’re betting on considered. Autoplay: Button that lets you watch the game play itself automatically. Spin: The button that starts the reels spinning. Payline: This is where you want the winning symbols to line up. Wild symbol: Some games include these symbols, which can help you to complete a payline by substituting for other winning symbols. Free spin: Certain slots let you unlock free spins, which are basically extra free games. You could do this by completing a certain goal on the game or landing the relevant symbols. Otherwise, we might have a promotion on that’ll let you get free spins. Re-spin: Much like a free spin, you can have an extra go on the slots if you manage to win a re-spin. RTP: This stands for return to player, and it’s a useful statistic to keep an eye out for when choosing a slots game. It tells you the average percentage of money that’s paid back to players. Easy Play: These games are great for beginners, as they don’t have particularly complicated paylines or bonus features. Check out games like Starburst to get a feel for how easy play slots work. Jackpot games: There are a variety of jackpot games you can play at Mecca, including Daily Jackpots, which must be won before a certain time, and Must Go Jackpots, which must be won before the jackpot reaches a certain value. We also have a range of network and private jackpots including King Jackpot, MegaJackpots, and Fluffy Jackpots. Branded games: Our branded games offer an extra layer of fun, bringing your favourite TV programs to life and allowing you to engage with them in a fun, new way. Check out games featuring popular shows and themes, such as Deal Or No Deal, Who Wants To Be A Millionaire, and Britain’s Got Talent. Multi Bonus: Our multi bonus games have lots of different types of bonus rounds and features, so you try a variety of different combinations that are sure keep you engaged. Our multi bonus games have lots of different types of bonus rounds and features, so you can try a variety of combinations that are sure keep you engaged. Head to the emerald isle with Rainbow Riches or go on a reel adventure with Jumanji. There are magical wins to be had with Pixies of the Forest 2, or play Jack in a Pot where you could bag a Daily Jackpot prize. You’ll probably be wondering how to make money on slot games, and part of this will be down to the game that you choose. 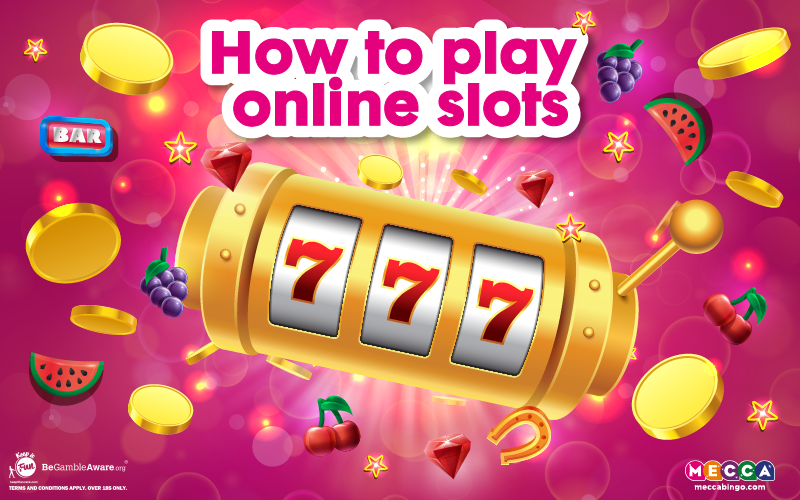 With many different types of online slots to choose from, there are a few things to consider. Generally, it all comes down to volatility. In some games, the likelihood of winning is higher, but the size of the prize is lower. Alternatively, you might play a game where you’re less likely to win, but the payout is much higher when you do. If you’re new to slots then classic games are a great choice, as you can focus your attention on a smaller number of winning symbols and paylines. However, if you’re a more seasoned player then choosing a game with multiple paylines and bonus features could give you a wider range of ways to win on your slots game of choice. Think carefully when you’re choosing what to bet. Wagering large amounts could see you winning a higher payout. That said, you could also lose more quickly, so a series of smaller bets could mean you get to play for longer. Always ensure to play within your means and never bet more than you can afford. Betting on all the paylines that your game offers could also increase your chances of winning, yet this can be costly. You could also bet on fewer paylines but keep switching between them. However, while this is cheaper, you could end up missing out on some payouts. With all this knowledge in mind, we’re sure you’ll love all the online slots we have to offer. Find more of our top tips and fun articles on the blog homepage.